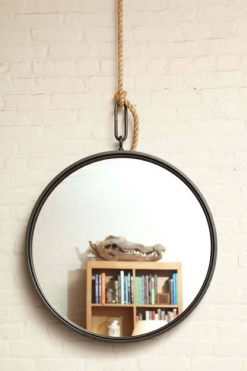 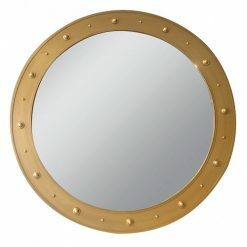 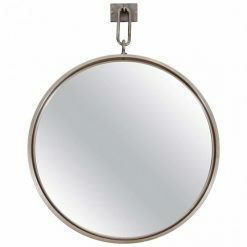 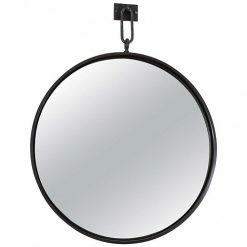 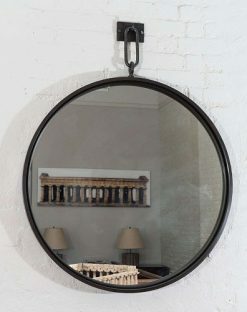 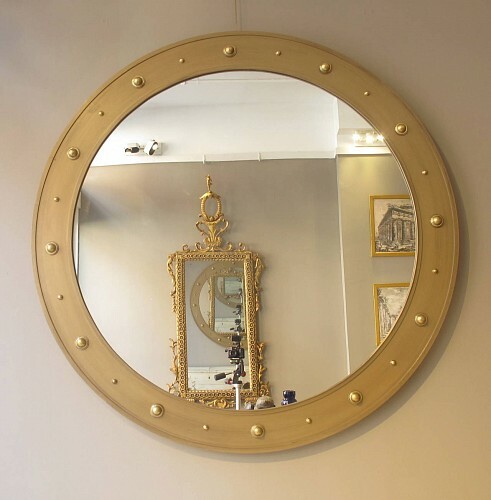 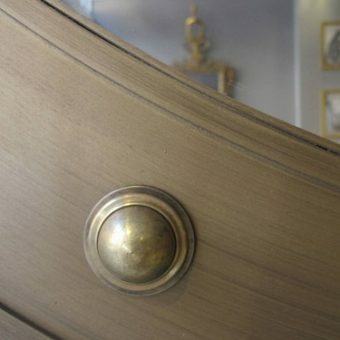 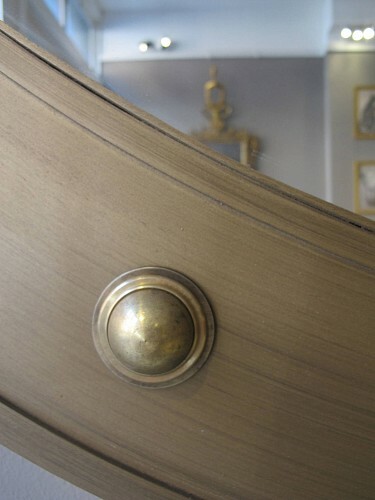 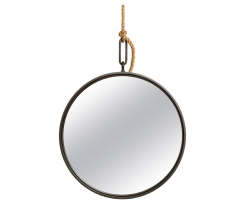 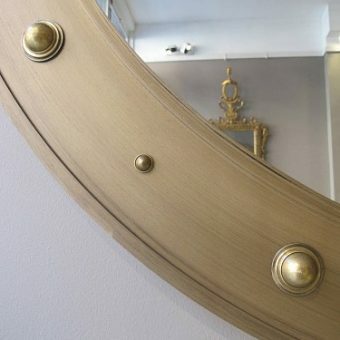 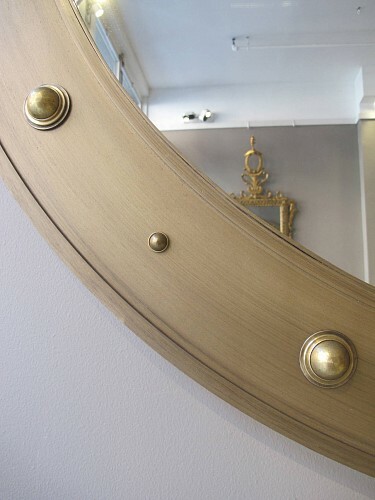 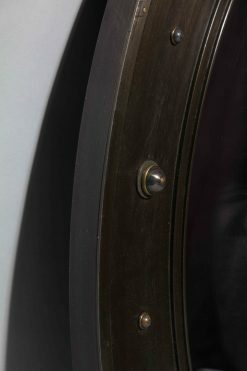 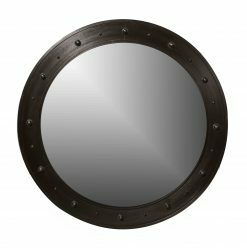 Circular steel mirror with bosses inspired by a period Regency mirror. 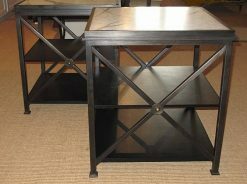 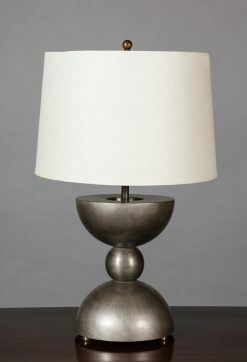 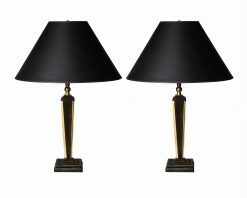 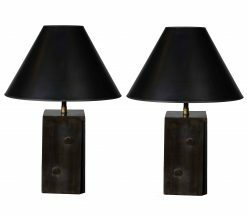 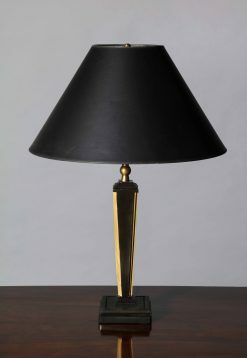 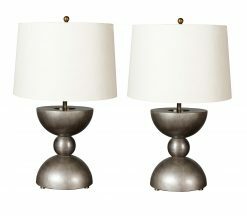 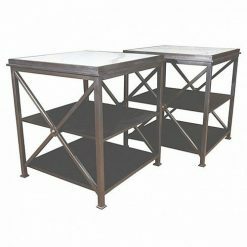 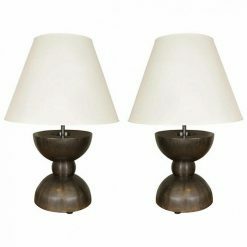 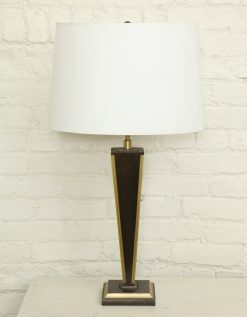 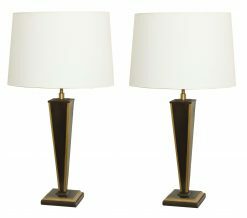 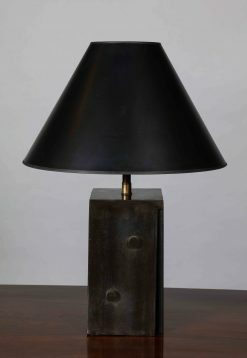 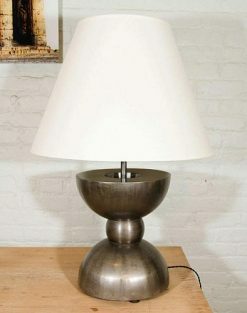 Can be made to size and finish: statuary bronze, pewter, rust, gold. 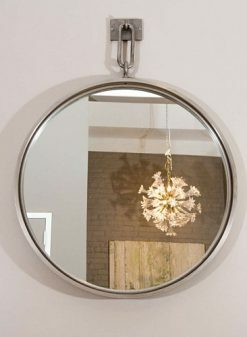 Choice of plain or antique mirror glass.